This article describes how to install an HD TV Antenna to get free over the air channels, so you can get rid of the cable or satellite subscription. Here is my TV Fool report. Note that some channels are not listed (e.g. CBC), but it provides you with an approximate list of what channels you can get, what power each is at, and which direction to face. The nearest intersection for me is Fischer Hallman and Erb St W, in the west end of Waterloo. Read more about Blogs and conservative "echo chamber" of "liberal media bias"
Its Official: Canadian Prime Minister is called "Graves"
The White House has a gallery of Obama's visit to Ottawa yesterday. 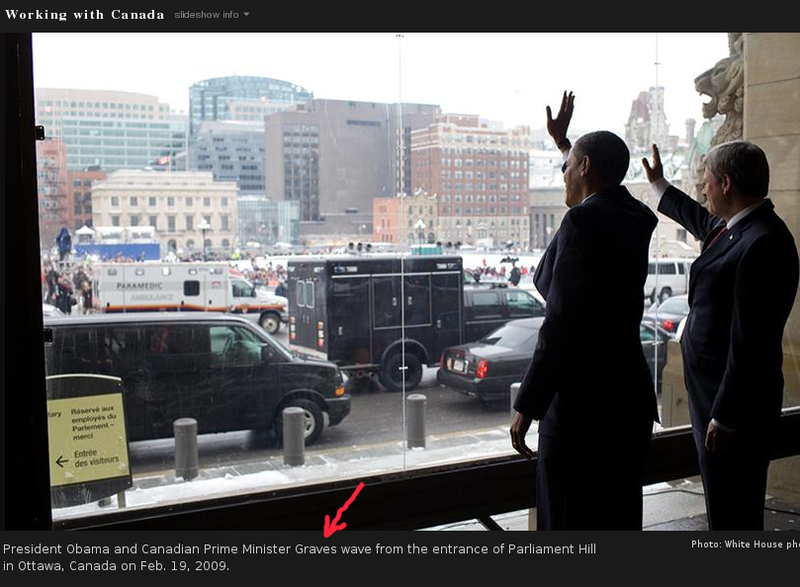 One of the photos has a caption of Obama with "Canadian Prime Minister Graves". Here is a screenshot, since it will probably be corrected soon. Read more about Its Official: Canadian Prime Minister is called "Graves"
Two decades ago, Air India flight 182 was bombed over the Atlantic ocean. The main suspects were militant Sikhs devoted to creating a homeland independant of India, and protesting the Indian army storming the Golden Temple in Amritsar. Kalwant Mamak is a Sikh-Canadian who lost his 42 year old wife in the bombing. She was going to India to visit her sick father. He describes in some detail how his life was impacted: he could barely cook, his son did not hug his mother out of embarassement at the airport, and more.